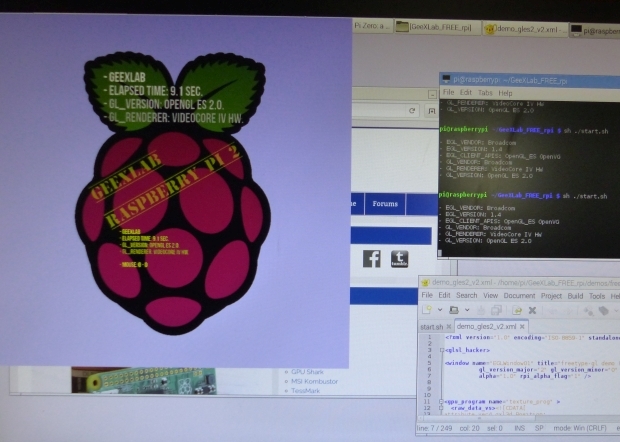 On the Raspberry Pi there is a very nice feature that allows to create very cool shaped windows: the control of the opacity of the 3D window. 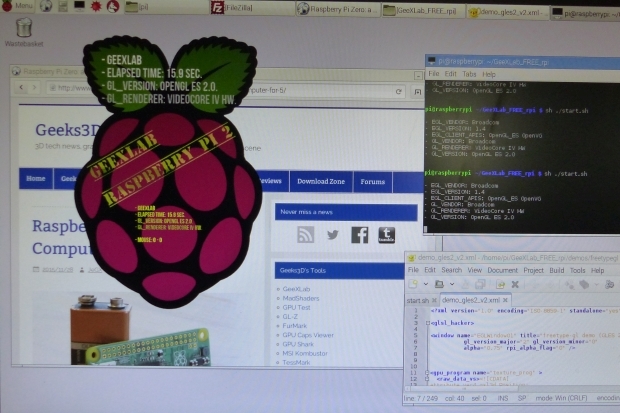 <window name="EGLWindow01" title="freetype-gl demo (GLES 2.0)"
Let’s take a simple demo that displays the Raspberry Pi logo (a PNG image with transparency) and let’s see how rpi_alpha_flag acts on the opacity. The demo is available in the code sample pack (gles2/freetypegl/demo_gles2_v2.xml). 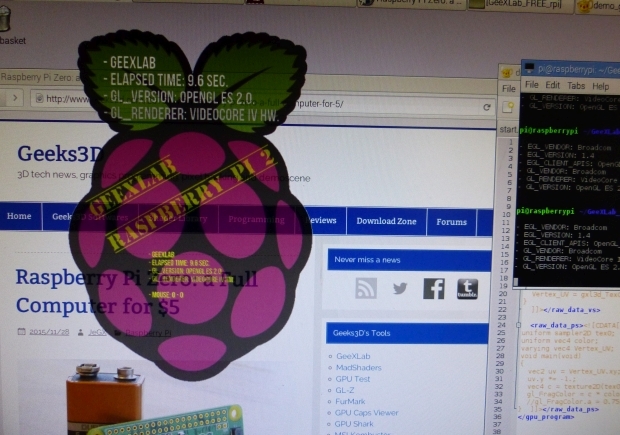 The code sample pack as well as GeeXLab for the Raspberry Pi can be downloaded from THIS PAGE. 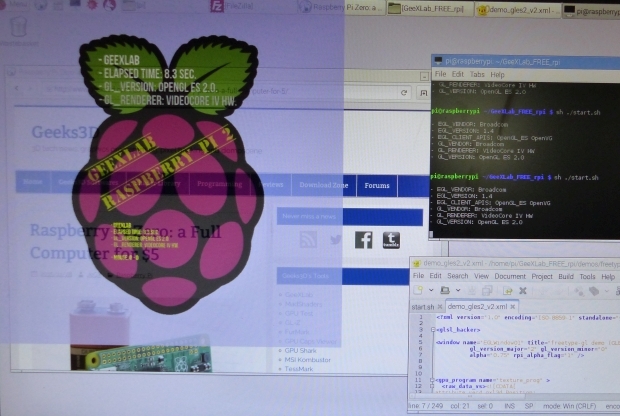 rpi_alpha_flag=1 and alpha=1.0 is the default mode: the window is fully opaque. With alpha less than 1.0, the whole window is transparent. When rpi_alpha_flag=0, the alpha value has no longer impact. In this mode, the alpha value outputed by the pixel shader on the default framebuffer is used to control the transparency.